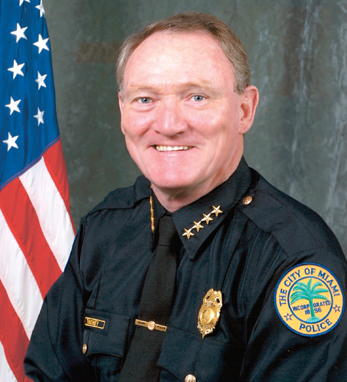 John Timoney, the Dublin man who became one of America’s top cops, retired as Miami’s chief of police in 2010 having served in that position since 2003. Prior to that he had served as Commissioner of the Philadelphia police department. However, the majority of John F. Timoney’s 29-year career was spent in New York City, where he rose through the ranks to become the youngest four-star chief in the history of that department. Timoney, born in 1948, emigrated in 1961 with his parents, younger brother Ciaran and sister Maria. His father passed away in 1966 and a year later, when John graduated from Cardinal Hayes High School, his mother and sister returned to Ireland leaving the two brothers in New York to support themselves. John passed the entrance exam for the police department. While working as a patrol officer in the 44th district he put himself through college earning a master’s degree from Fordham. In 1994, he was named Chief of the Department, the youngest officer to hold the title. The following year he was appointed First Deputy Commissioner, the second highest rank in the New York City Police Department. Timoney is President of the Police Executive Research Forum and serves on the boards of the Penn Institute for Urban Research and Philadelphia University. He is also Co-Chairman of the FBI’s South Florida Joint Terrorism Task Force. In 2010, Timoney authored a book, Beat Cop to Top Cop: A Tale of Three Cities. He was also chosen as a Harvard Fellow at the Kennedy School for the fall semester of 2010.